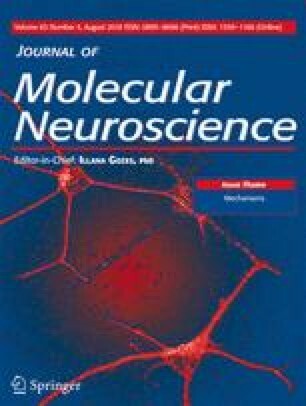 Cathepsin protease genes are necessary for protein homeostasis in normal brain development and function. The diversity of the 15 cathepsin protease activities raises the question of what are the human brain expression profiles of the cathepsin genes during development from prenatal and infancy to childhood, adolescence, and young adult stages. This study, therefore, evaluated the cathepsin gene expression profiles in 16 human brain regions during development by quantitative RNA-sequencing data obtained from the Allen Brain Atlas resource. Total expression of all cathepsin genes was the lowest at the early prenatal stage which became increased at the infancy stage. During infancy to young adult phases, total gene expression was similar. Interestingly, the rank ordering of gene expression among the cathepsins was similar throughout the brain at the age periods examined, showing (a) high expression of cathepsins B, D, and F; (b) moderate expression of cathepsins A, L, and Z; (c) low expression of cathepsins C, H, K, O, S, and V; and (d) very low expression of cathepsins E, G, and W. Results show that the human brain utilizes well-defined, balanced patterns of cathepsin gene expression throughout the different stages of human brain development. Knowledge gained by this study of the gene expression profiles of lysosomal cathepsin proteases among human brain regions during normal development is important for advancing future investigations of how these cathepsins are dysregulated in lysosomal-related brain disorders that affect infants, children, adolescents, and young adults. The online version of this article ( https://doi.org/10.1007/s12031-018-1110-6) contains supplementary material, which is available to authorized users. We thank the Allen Human brain Atlas for providing the extensive efforts and gene expression data as a public resource (http://www.brain-map.org/). This work was supported by a grant from the National Institutes of Health (NIH) (R01 NS094597) awarded to V. Hook. A. Hsu was supported by a NIH/NIA grant t32 AG26757 (Dilip V. Jeste, PI), and the Stein Institute for Research on Aging and the Center for Healthy Aging at the University of California, San Diego.